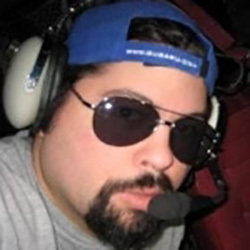 Scott Schreiber is one of the hosts of the long-running Retrogaming Roundup Podcast.He came up during the classic golden age of arcades and gaming. He self proclaims that his gaming skills were lacking back then. Today, the majority of his classic gaming centers around his home collection of about 50 various coin-op games, but he has restored about twice that many pinball, video games, EM games, slot machines, pachinko, and some other unique games that defy categories. When not wrapped up in gaming related stuff, he spends the majority of his time building and flying experimental aircraft or thanking his wife profusely for allowing such total immersion in his hobbies.